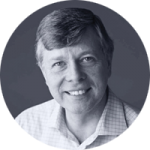 Mike has created three major consumer businesses: Egg plc, the UK’s first online bank; Firstdirect, the world’s first telephone banking operation; and Mercury Communications, the UK’s second largest telecommunications operator. He turned each of these into £1 billion concerns and Egg reached this figure in three years. Mike was also former chairman of innovation at the Royal Bank of Scotland and has been a regular speaker at mid-career MBA courses at the Sloan business School MIT since 1996. After leaving Egg in 2005 Mike co-founded Garlik – the specialist supplier of software and services which protect consumers from online crime and identity fraud – and became Executive Chairman. When it was sold to global data giant Experian in December 2011, Garlik was operating in the UK, the US, Italy, Germany, Turkey and India.